Ted Holt discuses Easy Date Difference in his latest article for IT Jungle. Profound Logic's Scott Klement was named an IBM Champion once again! Read the full 2019 list of champions here. See how easy it is to convert your legacy green-screen applications with Profound UI's DDS Conversion. Learn how to Consume Web Services with Profound.js. This Profound Pro Tip discusses the Top 10 Visual Designer V6 Tips and Tricks. 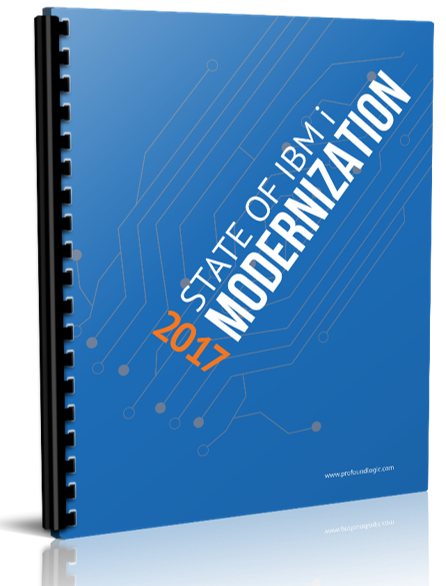 A few weeks ago we highlighted some of the predictions that Alex Woodie at IT Jungle had for IBM i this new year. Alex is back with a whole new round of predictions from some of the most prominent people in the community. Here are some of the highlights. With communication technology easier than ever via email or instant messenger, why would anyone need to join a local user group? Social media and networks provide a wide range of ways to share and consume information. In addition, Internet searches allow you to find articles and documentation from the past. The interconnected world provides access to large amounts of information, but how accurate is that information? Local user groups give you a resource to help you sift through the massive amount of information that you can consume online. User groups can help you also extend your professional network by meeting others from different companies who have the same passion for the IBM i as you do and can have the tools and insights you might need to help tackle your next challenge.